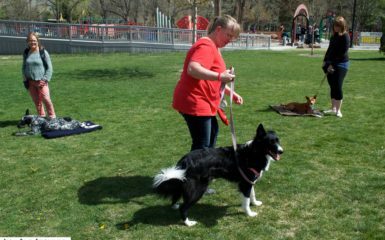 As a Salt Lake City dog trainer, I have heard many people say the following: “My dog is great with children and would never bite a child.” First of all you can never say that an animal will never bite. Any dog will bite if provoked. Yep any dog. So what exactly can trigger a bite in the most friendliest of dogs? How can we become aware of situations so we aren’t the person says: “I have no idea why my dog bit my child! I didn’t see it coming. There were no signs. It happened and was unprovoked.” Most dogs show multiple warning signs before biting. It is time to be an educated dog owner and learn those signs. From Living with Kids and Dogs …Without Loosing Your Mind by Colleen Pelar, CPDT “Every year, nearly 2.8 million children are bitten by a dog. Boys are bitten nearly twice as often as girls, children between 5 and 9 old are the most at risk. Most of these bites come from a dog that belongs to the family or a friend.” Here is a great resource from Best Friends Animal Society on dog bite statistics. Below are some situations that can cause your dog to bite your child or another child. Keep in mind this also applies to your friends’ dogs. 1.) Touching by a child can trigger many dogs. Of course many dogs are great with just soft petting, however, be aware that if your dog is not use to your child then regular petting can also trigger your dog. Hugging, hair pulling, rough patting, etc can definitely trigger many dogs. There is rarely a dog that loves any of the these rough methods of touching. Sure your dog may tolerate it. However, if your dog doesn’t enjoy it, you are increasing the chance that you dog may bite one day. He may have not bitten in the past and then one day after months of tolerating this brutal handling, your dog, decides he is done with taking it, so he bites. Yep it happens and it isn’t as rare as you might think. 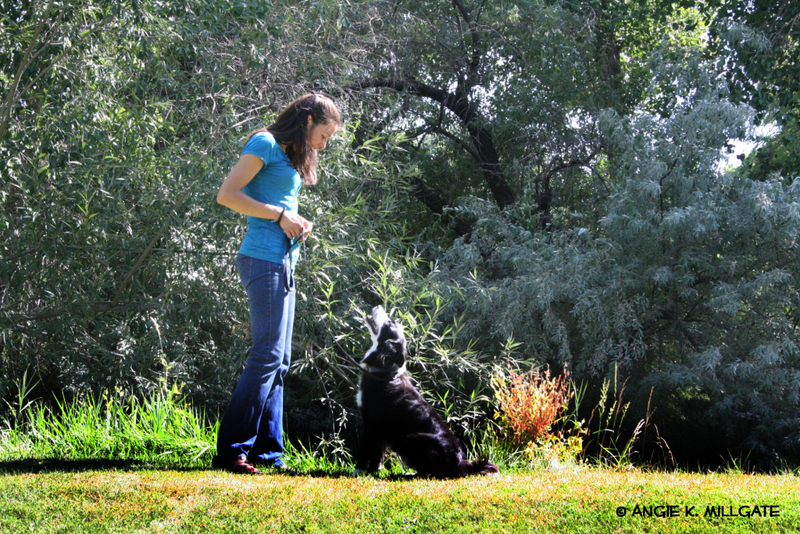 Teach your child to interact your dog in healthy ways. Such as petting softly and not allowing your child to hug your dog. 2.) A child that doesn’t give a dog space while he is eating can also create a potential hazard for a bite. This could be something as simple as having your child walk by your dog’s food bowl while he is eating or just petting your dog while he is eating. Your dog needs space when he is eating from his food bowl or when he is eating crumbs / treats off of the floor. 3.) Of course not honoring your dog’s personal space can be a huge trigger. This space could be something as simple as your dog laying on his bed. It could also be a more complex situation. You are holding your child in your arms. Your dog comes up to you and is your child is excited to see your dog. You set your child down immediately in front of your dogs face. Of course your dog is not going to be happy with something falling from the sky and landing directly in front of his eyes. A great personal example is entering the house with my daughter. Seiki comes running to the door and when I walk into the door with my daughter Seiki has his face right there in front of us. Iris walks directly into Seiki. I see the danger in the situation and am now teaching Iris to wait at the door while Seiki is given a command to go to his bed which is far away from the door. Then I tell Iris to give Seiki his space while he is on his bed. 4.) Throwing objects and waving hands in your dog face can create your dog to be uncomfortable as well. I think this one is a bit more obvious. However, keep in mind with toddlers these behaviors happen quickly. You can use baby gates, crates, closed doors, etc to keep your dog separated from your child when he is in hyper mode. Also remember to constantly redirect and teach your child to be more conscious with his toys and hands around your dog. 5.) Trigger stacking is one that will catch most dog owners off guard. This means that multiple stressful stimuli happen all at once or consecutively. Your dog’s stress level builds quickly and then reacts. Let me give you a example. Your dog is eating out of his food bowl. Your dog is actually very friendly while he is eating. However, this day your daughter is excited about a toy that is accidentally left by your dog’s food bowl. The floor is also wet from your dog drinking water. Your daughter knows to give your dog while he is eating and forgets in this moment because she is excited about her toy. Trigger #1: Your daughter begins screaming in excitement about her toy. Trigger #2: She is still screaming and walks toward the eating dog. Trigger #3: She slips on the spilled water on the floor and the sudden fall creates even more stress on the dog. Trigger #4: Your child lands on your dog’s food while he eating during the fall. Trigger #5: The fall is hard and your daughter cries. Now that we have 5 different stressful stimuli happening at once your poor child gets a bite to her face! Please be aware of trigger stacking. 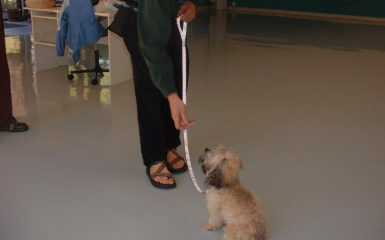 The more responsive your dog is to obedience commands, the more easily it will be to prevent a bite when your dog becomes triggered by your child. Here are some great commands to train: Go to your place, leave it and come. Click on safety and your dog to find more tips. 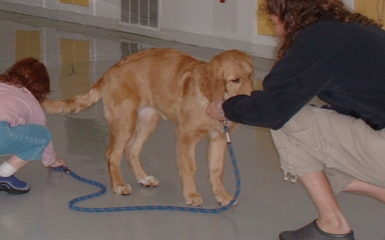 If you need support in keeping your child and your dog comfortable, begin dog training. 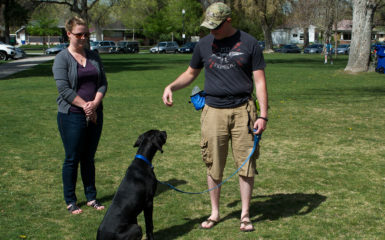 Salt Lake City has many positive reinforcement dog trainers that you can hire. What have you learned to increase your child’s safety around dogs? This is a very important subject, so many people simply cannot imagine a situation where their dog might bite. The points you make are easily understandable for the owner to look at how they live with their dog and assess where they need to make changes to keep everyone safe. Great blog! Love the tips! Having 2 kids and a dog, the information is perfect for us! great post, I love the topic of boundaries when we have dogs and kids. Most people worry about the dog hurting or scaring the kid, but What about the dog?. My dogs are very different around children, One of them loves playing with kids but the older one never really liked having kids around. She is very good with them, but she always has a hard time around kids.